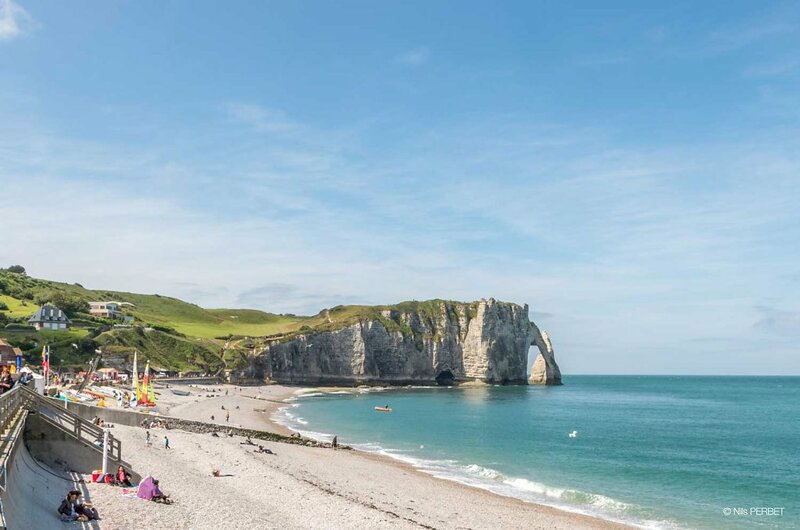 Étretat (town of the north-western of France) is best known for its cliffs, including three natural arches and the pointed "needle". These cliffs and the associated resort beach attracted artists including Eugène Boudin, Gustave Courbet and Claude Monet, and were featured prominently in the 1909 Arsène Lupin novel The Hollow Needle by Maurice Leblanc. Today, lots of tourists are visiting this place to look at the cliffs and enjoys sea's activities as sailing.